Last week, Statistics Canada released very troubling numbers on hate crimes in Canada. In 2017, 2,073 incidents of hate crimes were reported, the highest number recorded since 2009 when Stats Canada started collecting this data. That is an increase of 47 per cent compared to numbers reported in the previous year. The incidents targeted three main groups: Jewish, Muslim and Black populations, with Muslims suffering the most violent incidents, and with Quebec and Ontario the two provinces registering most of the increases. To my knowledge, neither Quebec’s new premier, François Legault, nor Ontario premier Doug Ford felt compelled to comment on these scary increases, hence sending a message that they were unconcerned by them. However, both of these politicians and their supporters have on several occasions spoken about and taken explicit actions that made them, in my opinion, responsible for creating a toxic environment leading to the normalization of hate. When he was a member of Quebec’s opposition, François Legault surfed the wave of Islamophobia that swept through Quebec politics with the advent of the charter of values in 2013. In 2015, he even went on to declare that all mosques in Quebec should be investigated before opening. Last summer, Legault spent his political campaign insinuating that immigrants are the root problem of Quebec society. Those comments coincided with TV images of African and Haitian families crossing the Canadian border from the U.S. and applying for refugee status — creating the false impression that the Black population is foreign to Quebec and that the province is about to be invaded by “foreign Black refugees.” The reality is, of course, totally different and more complex. The Black population represents only four per cent of Quebec’s general population, with a deep and long history in the province. The day after his election as premier, Legault insisted on fulfilling his discriminatory promise of introducing a bill to ban public servants in positions of authority from wearing religious symbols at their workplace. These symbols include: the veil for women, the kippa for Jewish men and the kirpan for Sikhs. As for the crucifix, he proudly declared that it isn’t a religious symbol, even if it represents Christian values. 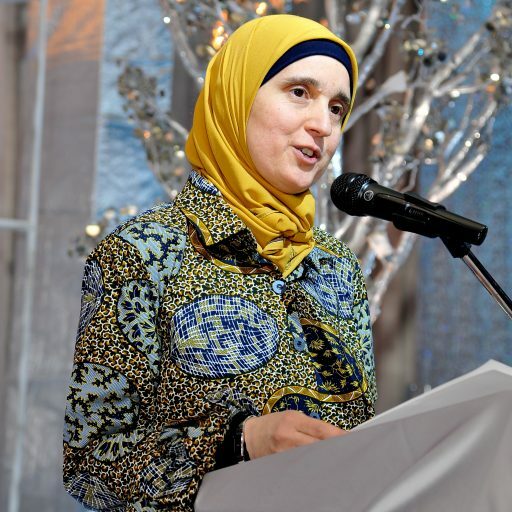 This ridiculous assertion was left almost unchallenged while Premier Legault and his government continued to openly target the presence of Muslim women in teaching positions, despite the fact that teaching isn’t the same “position of power” as compared to police officers or prison guards or judges. The obsession in politics with certain religious symbols and the demonization of some racialized groups more than others creates the politics of hate. It doesn’t take politicians committing hate crimes or even inciting others to do it; all it requires is creating a climate of impunity that ineluctably leads to the normalization and banalization of hate. A similar pattern was observed in Ontario. While still a Toronto city councillor, Doug Ford used the word “jihad” on two occasions to attack journalists who criticized him. The use of such a politically charged word was meant to target Islam and Muslims. While on his campaign trail last spring, Doug Ford surrounded himself with candidates who were not embarrassed to adopt and declare Islamophobic opinions. For instance, he defended his choice of Andrew Lawton, a former private radio talk show host who made Islamophobic comments and jokes while campaigning in London, Ontario. Ford also kept Tanya Granic Allen as a PC party candidate for weeks after it emerged that she made Islamophobic and homophobic comments. He never denounced her comments, just as he never apologized for taking a photo with Faith Goldy, a white supremacist who ran in Toronto’s mayoral election. Goldy’s racist, anti-Semitic and Islamophobic history is well documented and public knowledge, yet Ford didn’t denounce her until after a huge public outcry, when he made a speech condemning anti-Semitism and hate. But it was too little, too late. The underlying message had already passed: since the premier is “soft” on hate, hateful persons or groups can continue their horrible work with total impunity. Given such acts contributing to the increase of hate, it’s no wonder both Premiers Legault and Ford kept silent in the face of skyrocketing numbers of hate incidents. What is even more troubling is the silence of the majority public, which in part has worsened the situation by voting for these dangerous populist governments and cheering their simplistic and irresponsible promises like “buck a beer” by Ford or “reducing the number of immigrants by 10,000 people” by Legault. Perhaps it is time for the federal government to step into this dangerous arena and take leadership in fighting hate crimes targeting Muslim, Jewish, and Black communities, and other groups. It is not only a matter of continuing to apologize for past errors made by Canada — it should also be about preventing future mistakes that are primed to happen in light of the normalization of hate. Asalam aleikum Mrs Mazigh , the hate issue painted in your writing is very revolting. is it please all over Canada or limited to some provinces? Why does Canada go on adopting a legal immigration Policy? Wa alaikoum Assalam. Unfortunately, there is an increase in hate crime rates across all the country but Quebec is the province that saw the most increase. There is a lot of ignorance and frankly lies about immigrants.